Makan2 in Bahasa Malaysia, our national language simply means ‘eat all you can’ and at Makan2 Restaurant, we want you to do just that! Our Restaurant is easily located at the Mezzanine Floor which serves daily breakfast and hi-tea during weekends and public holidays from 12.30 p.m. – 5.00 p.m. Offering a wide range of local and international flavours, savour mouth-watering delicacies brought to you from renowned local and international chefs. Marvel at the varieties of Noodles at the Noodle station, check out the display of seafood on ice, try satay; a favourite among the locals which is small chunks of chicken, lamb or beef barbecued on a stick or ikan bakar; fresh fish mixed with local spices covered in banana leaf grilled to perfection to bring out the divine flavours of fish. Makan-Makan will absolutely satisfy any palate with Halal Certificate from JAKIM. 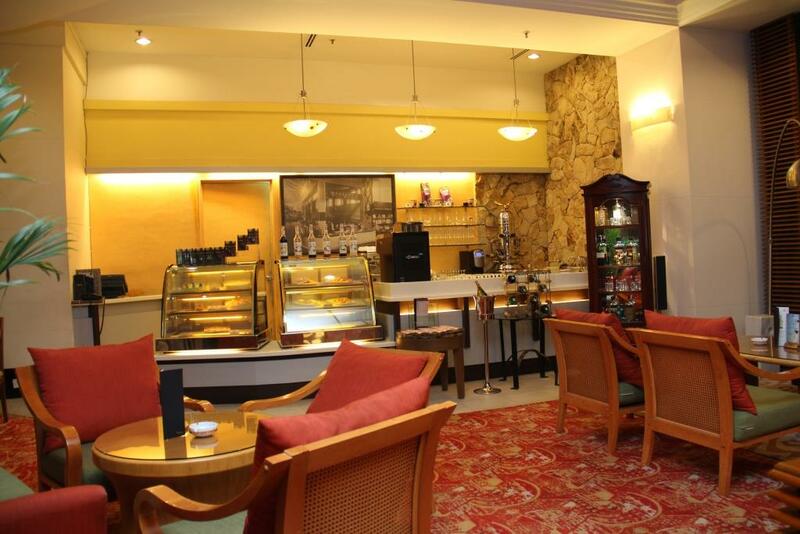 Unwind and relax after a hectic day at our Lobby Lounge amidst a cosy ambience. Enjoy a cup of freshly brewed coffee while savoring our local snacks and listening to your favourite music tunes or chatting with your family, friends or business associates. To stay connected, surf the internet by purchasing a broadband access card easily obtainable from our friendly guest service personnel at the Reception.